Shark Tank has sparked a craze amongst people in the entrepreneurship and venture capital world. The reality show features a panel of uber-successful entrepreneurs and executives, like Mark Cuban, who consider offers from start-ups seeking investments in their businesses. Jamaica too has caught on to the hype and panels of “investors” are popping up everywhere who listen to pitches by nervous entrepreneurs. I was invited to represent the Branson Centre on a panel at the Jamaica Stock Exchange (JSE) Conference last week to judge a group of eight entrepreneurs as they pitched their businesses to a crowd of over one hundred people. We were primarily a judging panel who scored the entrepreneurs on elements of their pitches, with the winner receiving a trophy at the end of the conference. If they did well enough, they could possibly be invited to meet with an investor. The aim of the pitch therefore was to do well on the elements we scored, not necessarily to seek investment. This inherently changed the stakes of the game. 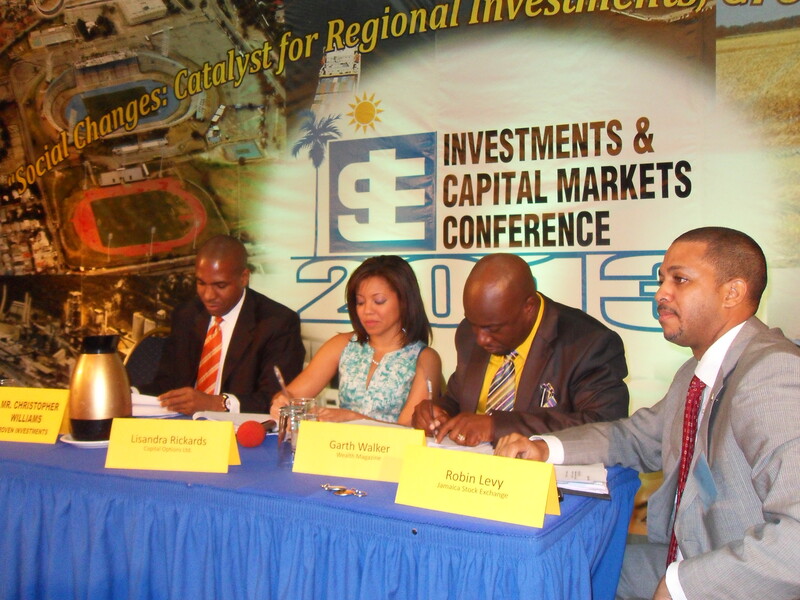 There was one investor on the panel – Chris Williams of Proven Investments Ltd. The other panelists were Garth Walker of Wealth Magazine, Robin Levy of the Jamaica Stock Exchange, and myself. Based on cash flow and growth potential only two or three of the entrepreneurs who pitched could have given an investor a return on investment – but this is also true of Shark Tank. Jamaica’s entrepreneurial sector was decimated by our financial crisis in the mid-1990s. Most of our entrepreneurs at the time had taken out variable rate loans at commercial banks. When the banking sector crashed, interest rates spiked to 60-100% and very few could pay. When the government sold the non-performing loan portfolio to an American debt collection company, some entrepreneurs found the police knocking at their doors, forcing them to vacate their offices and their homes without recourse. We still don’t have bankruptcy protection in Jamaica. This episode in our history made us become a lot more risk averse, and the entrepreneurial spirit faltered for many years. Contrary to the Mr. Wonderful approach on Shark Tank, we must support the courageous few who are taking a chance on our country again and tentatively venturing out into the world of entrepreneurship. We should ask them the hard questions, yes, but above all support them in their efforts. Thankfully, our panel was not too hard on them (I think), and the JSE Conference was a great platform for exposure. Hopefully some of our entrepreneurs got new customers, if not new investments. Whenever we are tempted to be Shark Tank-like in Jamaica, we need to remember that our history of debt, unstable exchange rates, and fragile interest rates deters many people from trusting in the local economy again. Thank goodness for the intrepid few who are willing to take on the challenge and try to build something new.